Triple Mushroom Soup | Two Guys In a Cucina! Well as promised, we are posting the recipes from the birthday cook-off… starting with our Triple Mushroom Soup. If you are a fan of mushrooms… and of bacon then this is most definitely the soup for you! The smoky bacon flavor really compliments the taste of the different mushrooms. Since the soup is predominantly broth based you don’t have the cream overpowering the taste of everything else. This is a recipe I know we’ll be keeping close at hand. 1/2 cup snipped fresh chives for garnishing. Serve the soup garnished with the chives and enjoy! and Oyster mushrooms. Also we had difficulty finding the dried sage leaves so we just used ground sage. 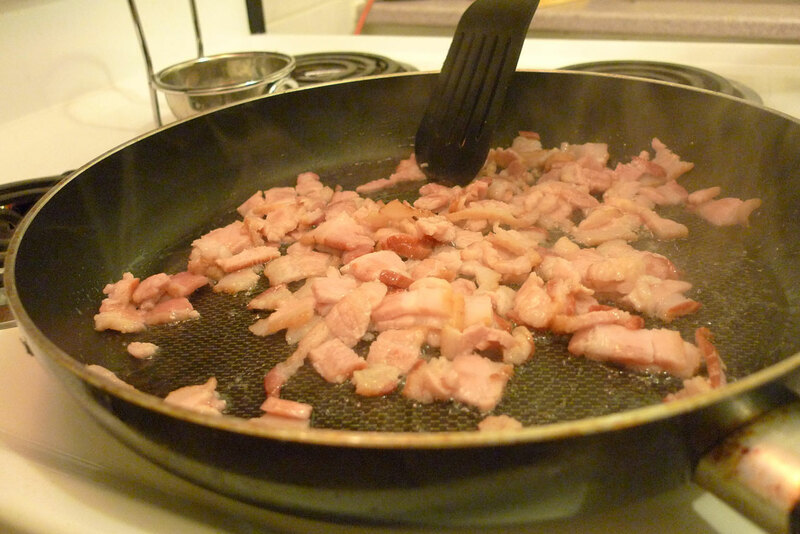 First things first, we sautéed the bacon….mmmmm bacon. 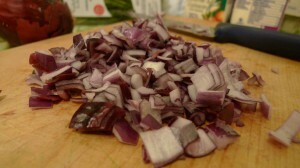 Once crispy, remove and set aside. Mmmmm bacon! Next we take the chopped onions and throw them into the bacon grease and season with sage…mmmmm bacon! 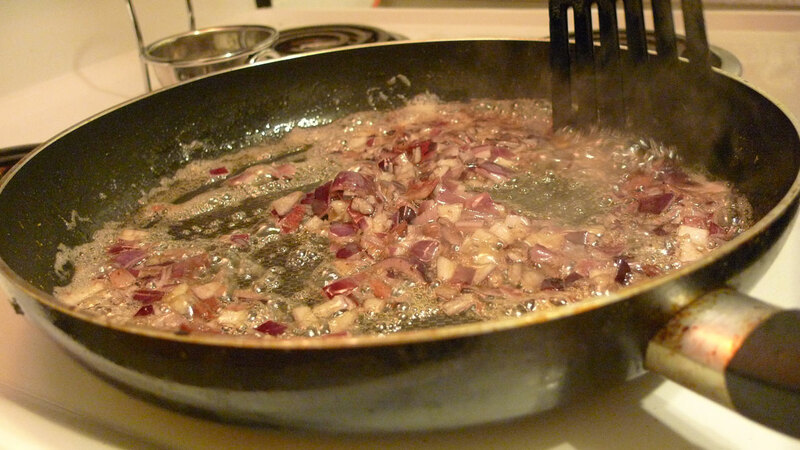 Once onions are translucent & softened, add all your mushrooms to the pan. Once it looks pretty, transfer it to a slow cooker. Mmmm smells like bacon! Add the bacon you set aside to the slow cooker and then pour in the chicken broth. Mmmmm chicken broth! I mean bacon! Cover and cook on high for 3 hours. 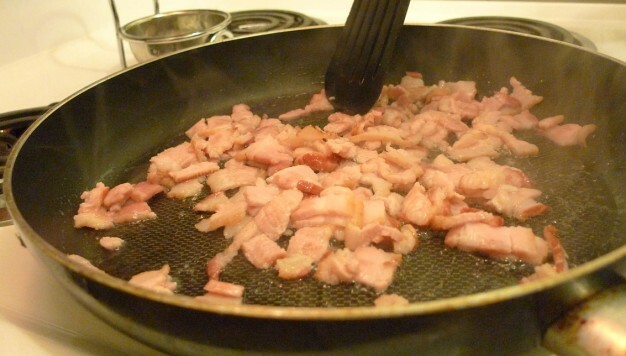 Once the aroma of bacon is unbearable, pour in the heavy cream and stir until well blended. Serve and garnish with chives. Enjoy!